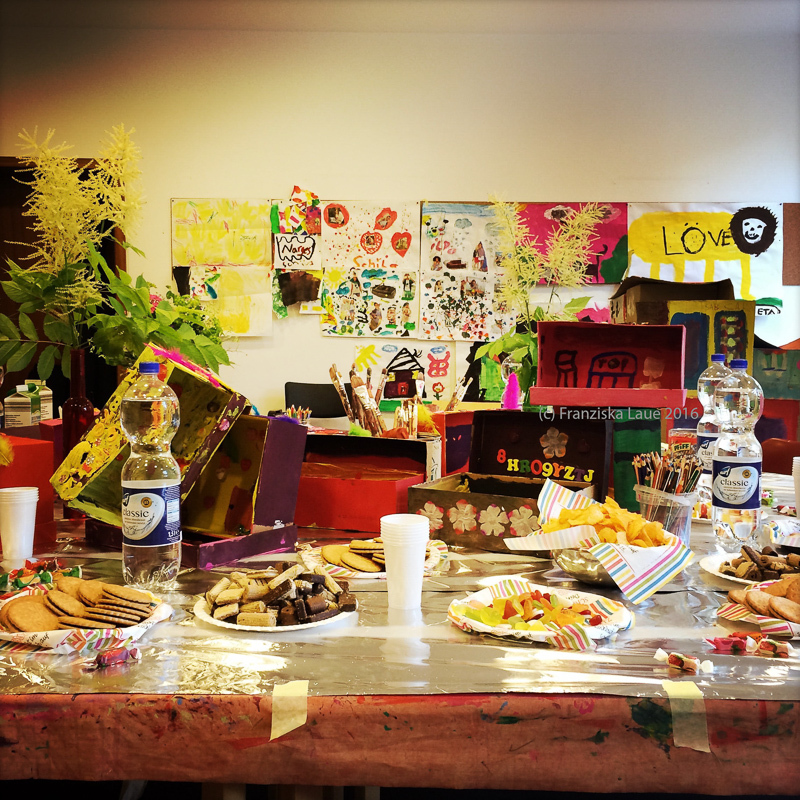 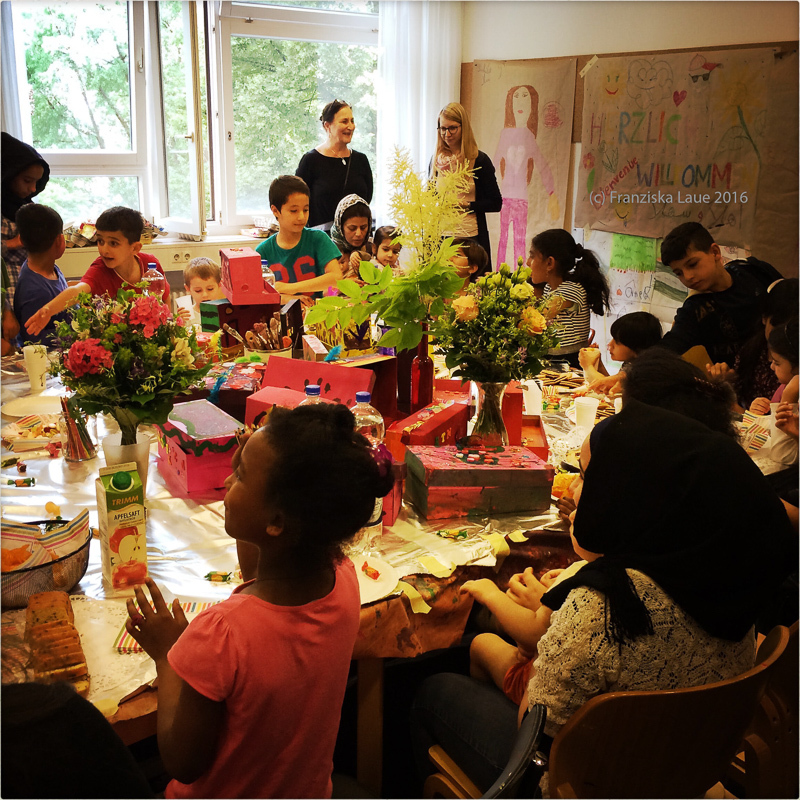 Kids and Colours workshop – Freunde der Altstadt von Aleppo e.V. 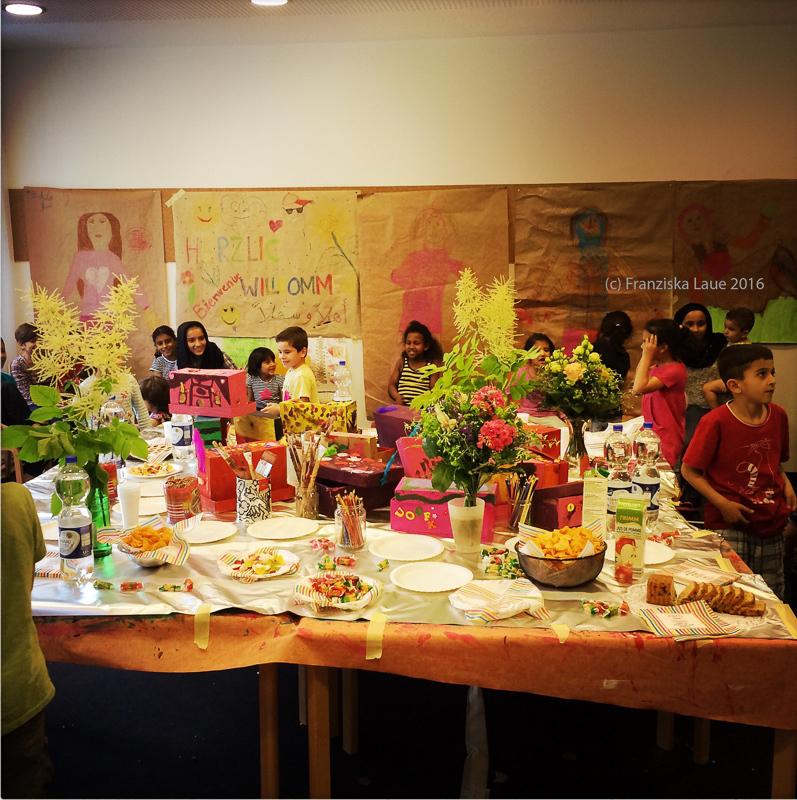 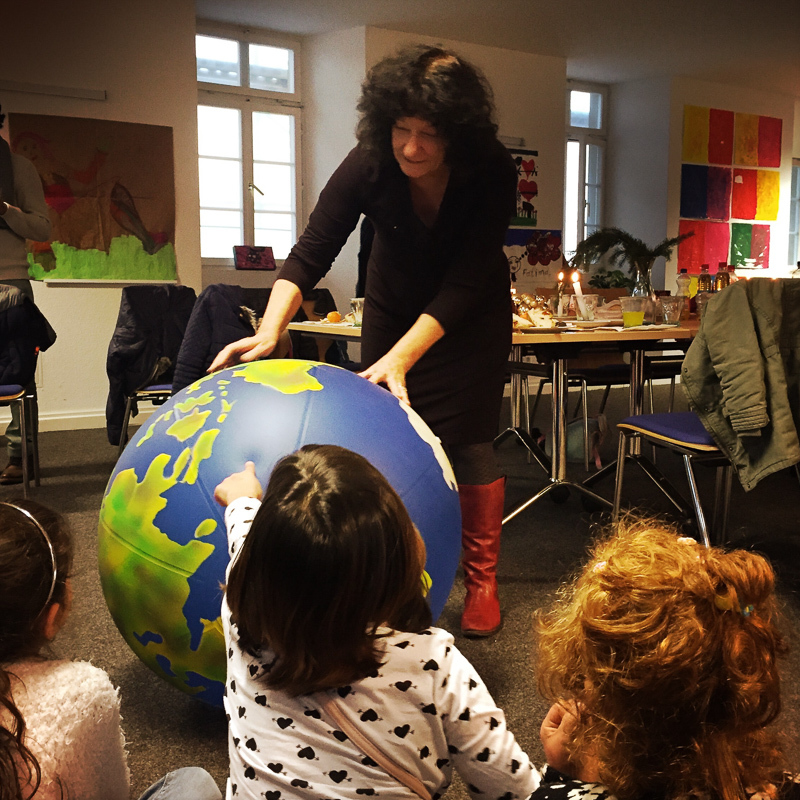 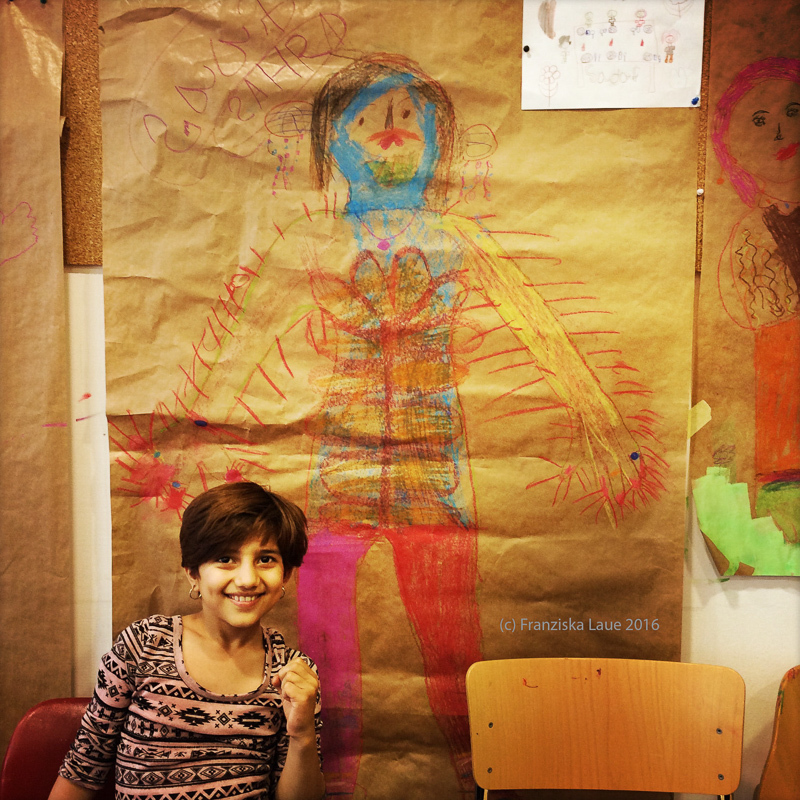 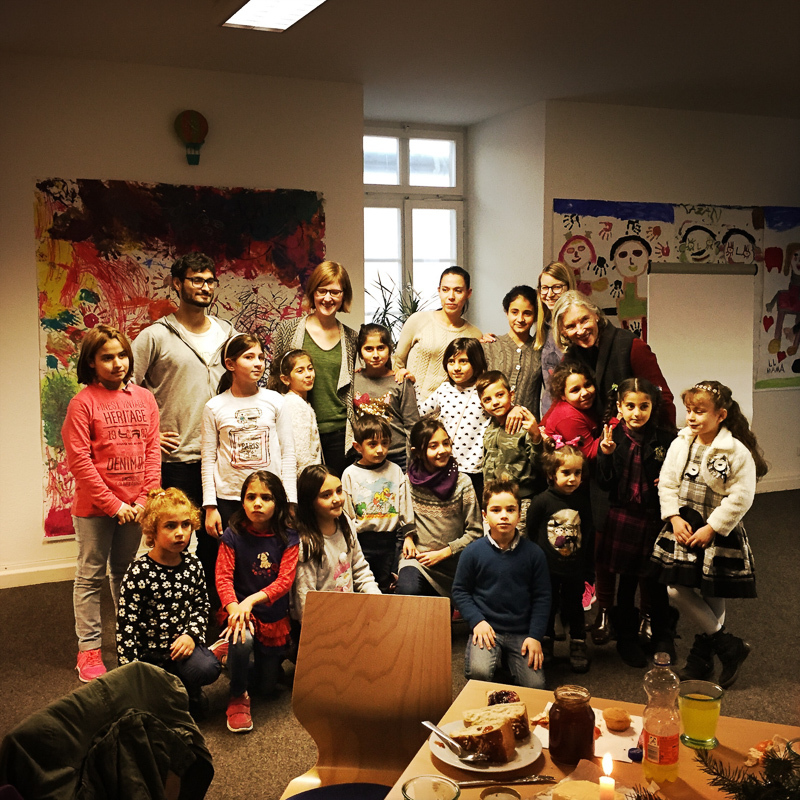 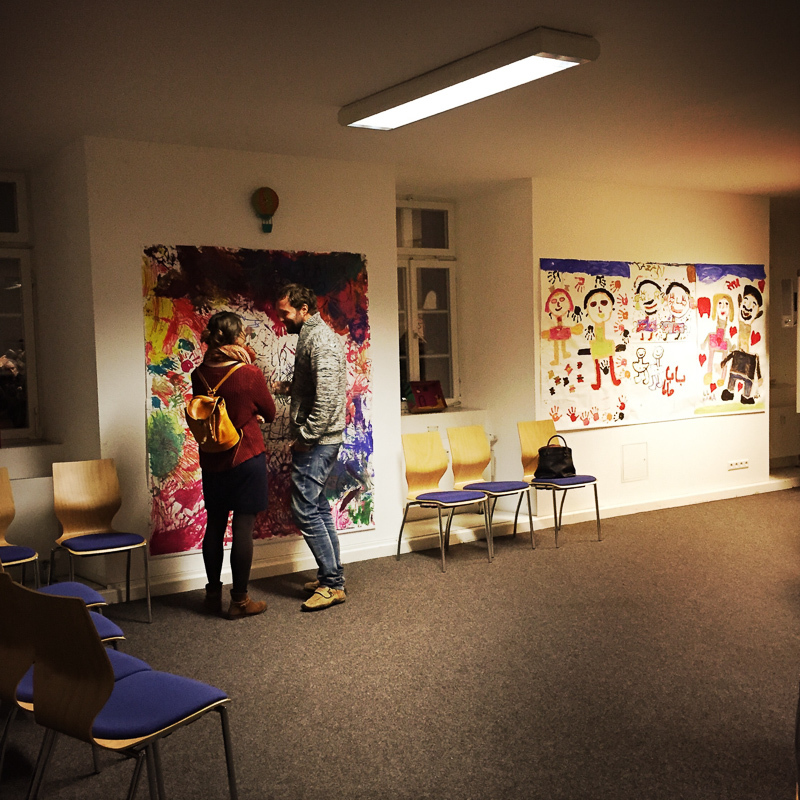 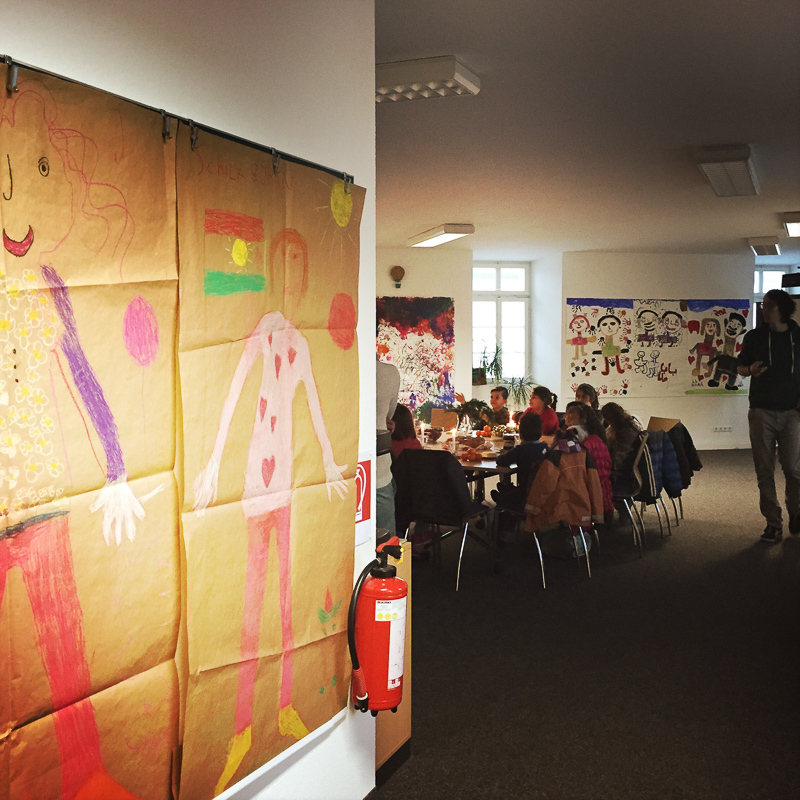 In autumn 2015 the Aleppofriends association, along with Caritas, have initiated the “kids and colours art workshop” with refugee children currently living in asylum homes in and around Stuttgart will join regular creative classes every Monday afternoon. 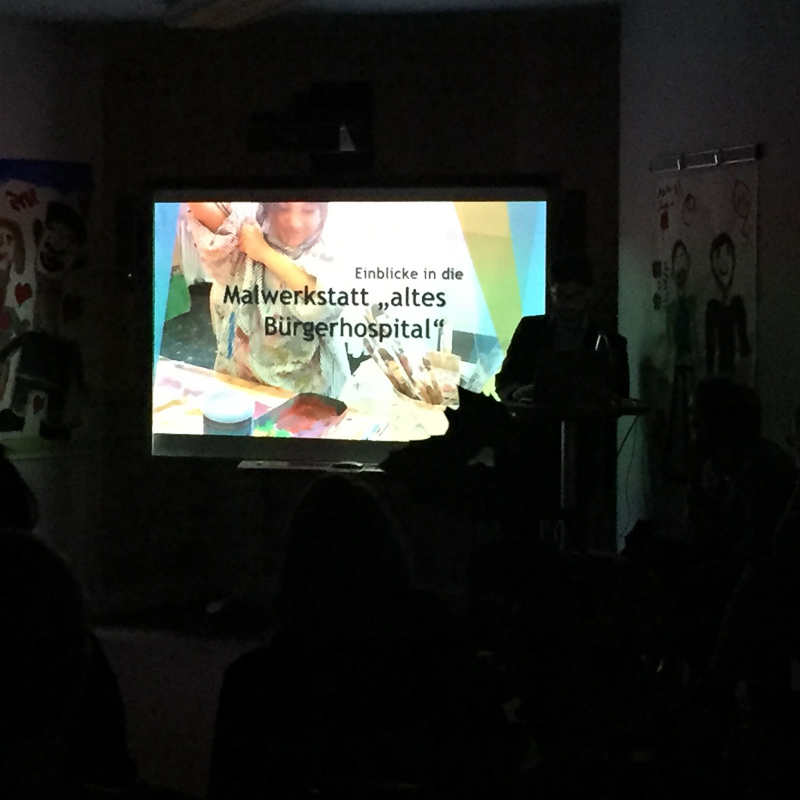 The association started as an initiative to safeguard Aleppo’s urban and built heritage. 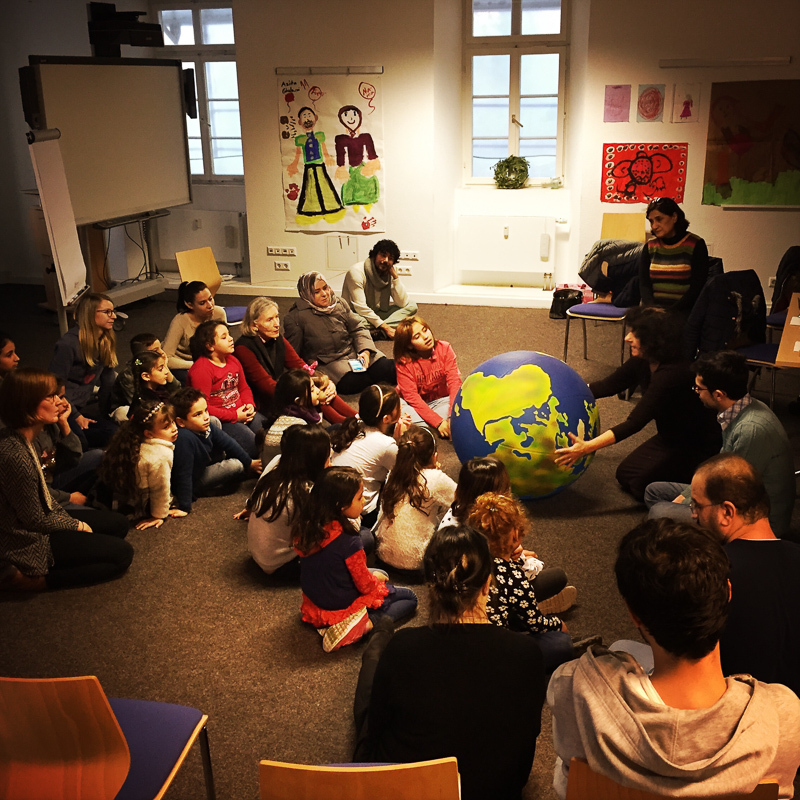 Now, with the conflict in Syria this activity is shifting towards long-term support and strategy for a future reconstruction. 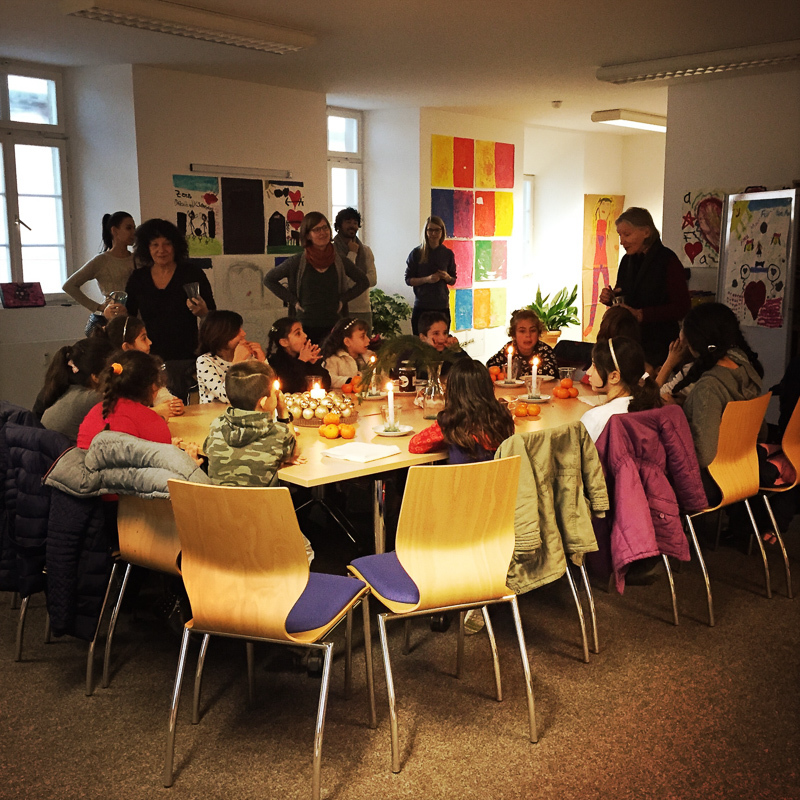 Meanwhile, as this is something we can be helpful, the association has widened its scope of work to support Syrian refugees in Germany, particularly in Stuttgart. 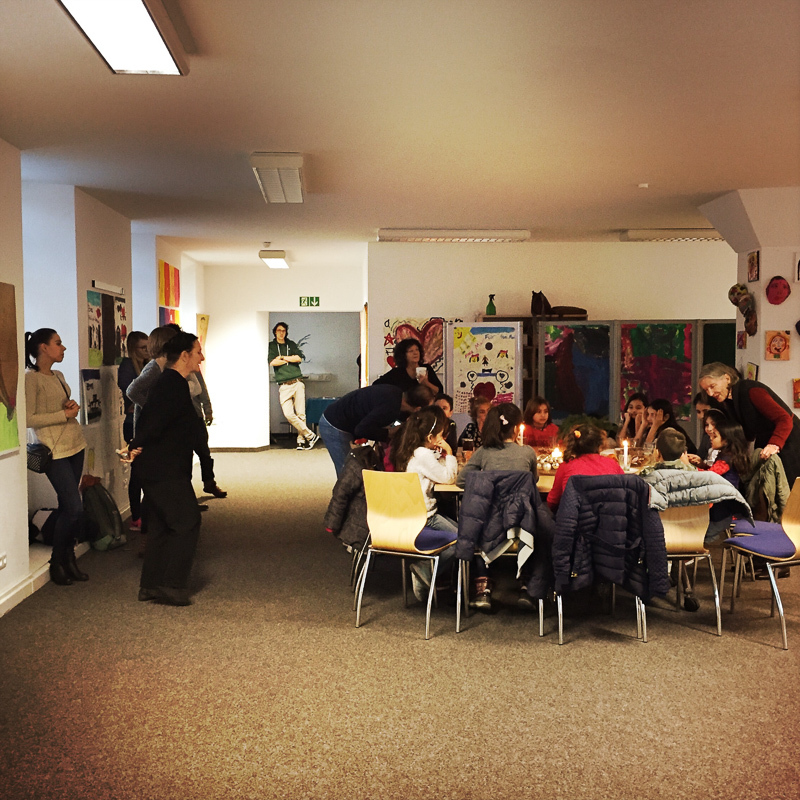 The intention of this workshop is to invite children to draw their memories of their home country and cities, and their hopes and wishes. 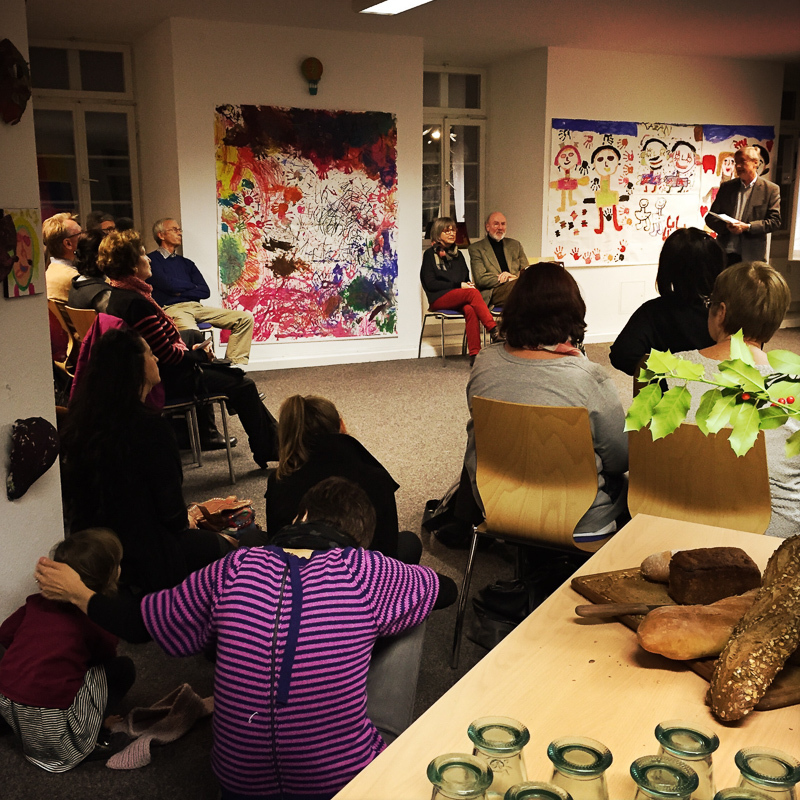 Two art therapists and pedagogists have developed a concept to accompany the attending kids in creatively dealing with their past experiences and looking forward to a life in peace. 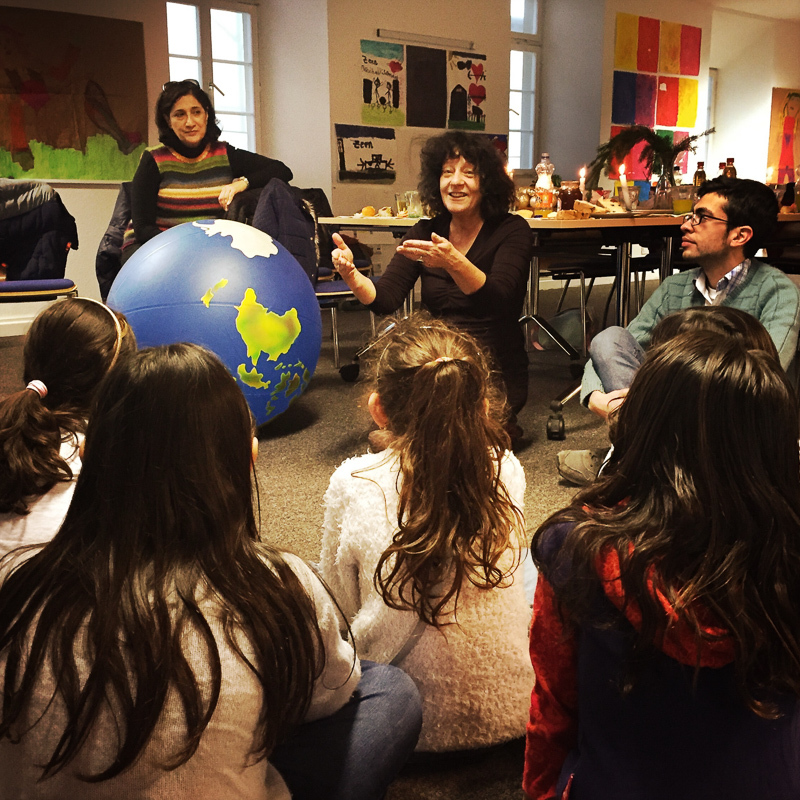 Children from Syria, Iraq, Afghanistan, Iran, Albania and many others attend the workshops. 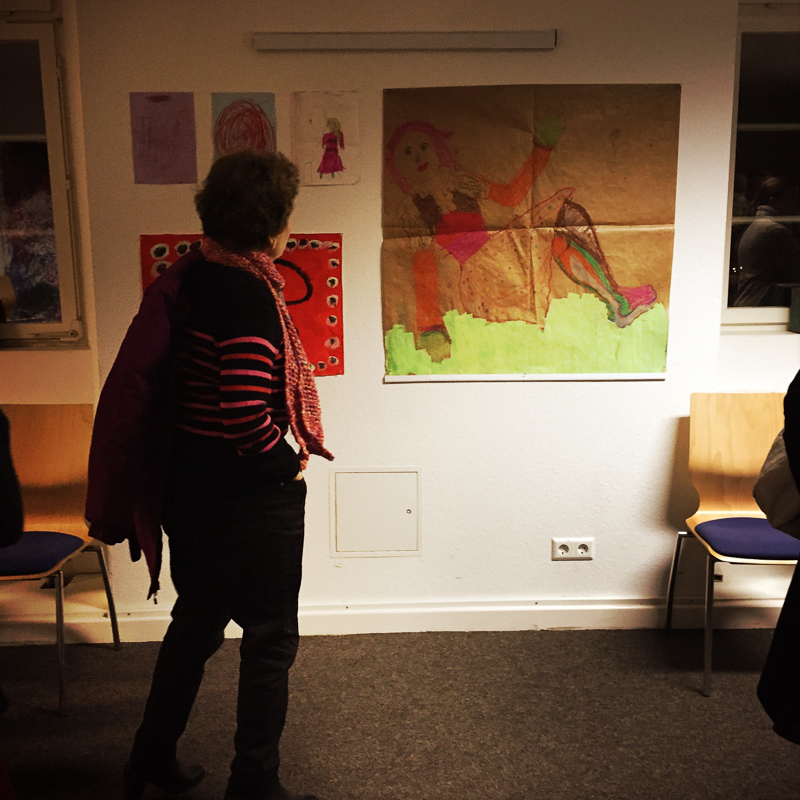 After some initial difficulties, the concept has been gladly and enthusiastically accepted. 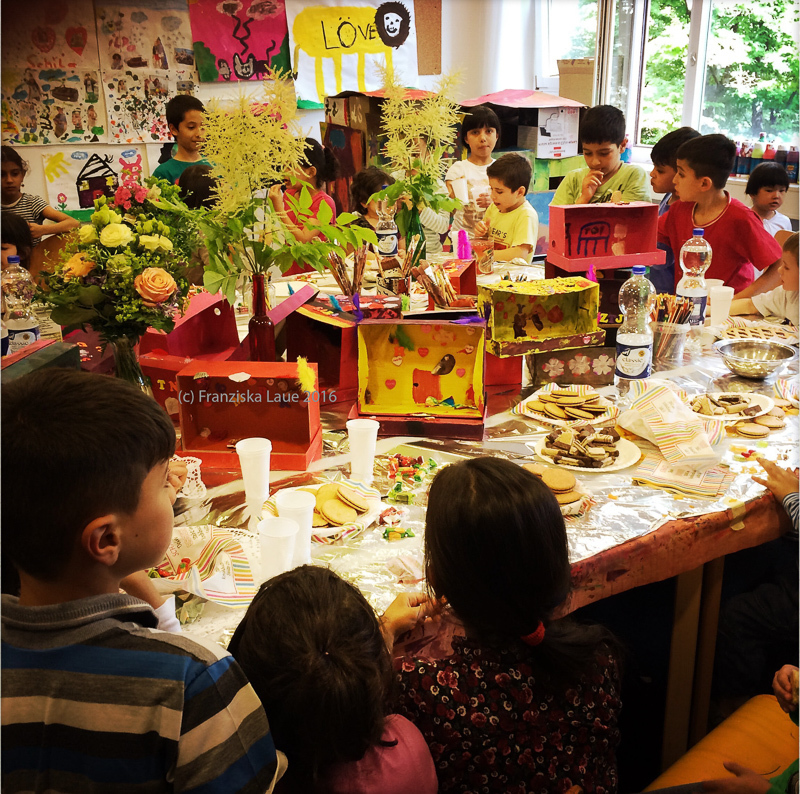 Hence, after a very positive feedback by the workshop tutors, the association has decided to extend the workshop with a third extension in summer 2016. 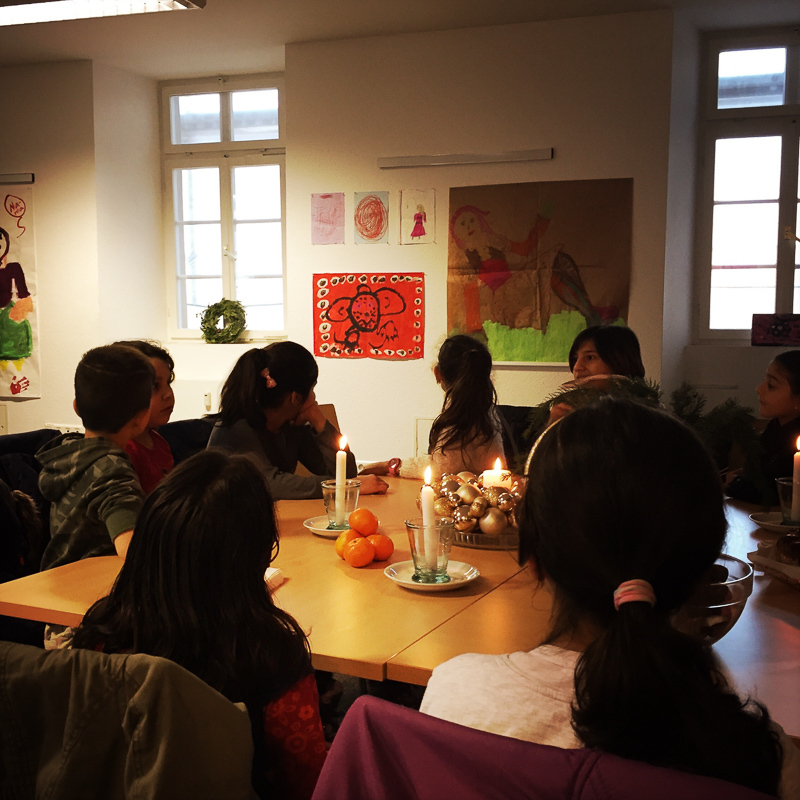 The afternoon of 5 December was dedicated to all children who were participating in the art workshop. 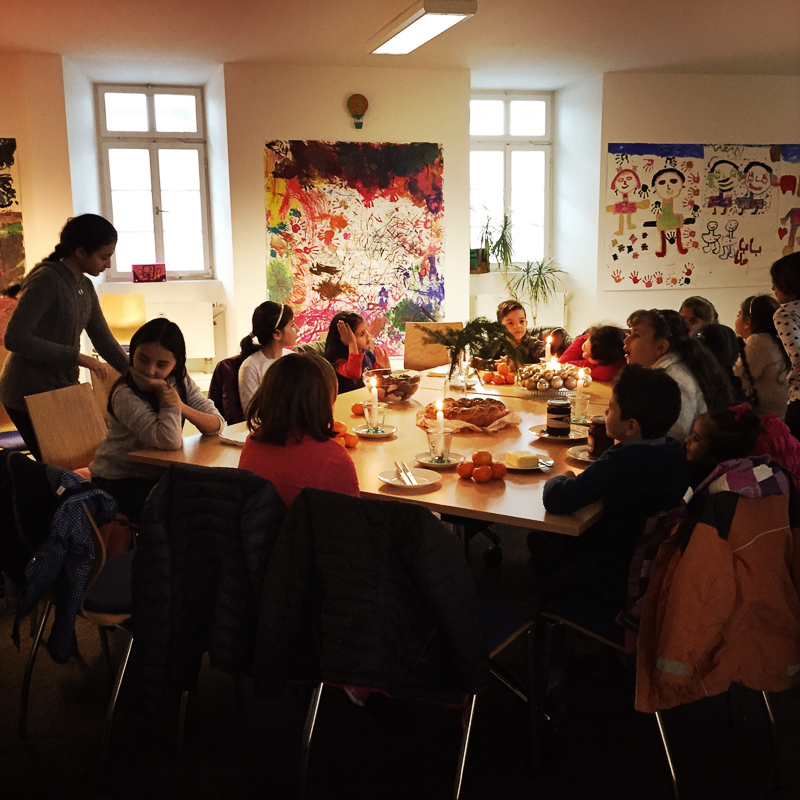 After an introduction of all visitors the group celebrated with some sweets and juice. 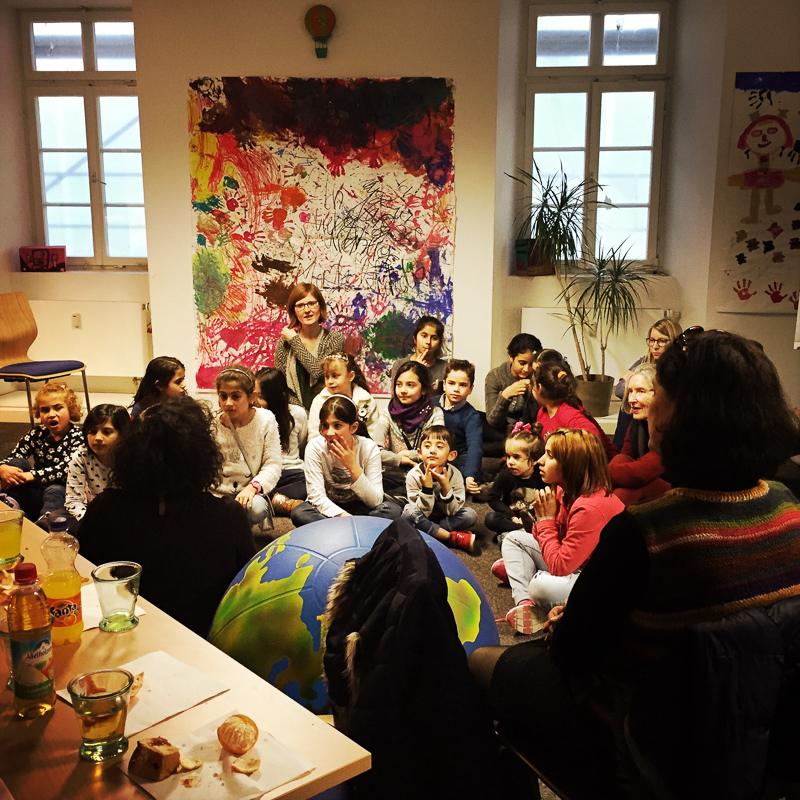 Afterwards, a storyteller shared a few tales with the children. 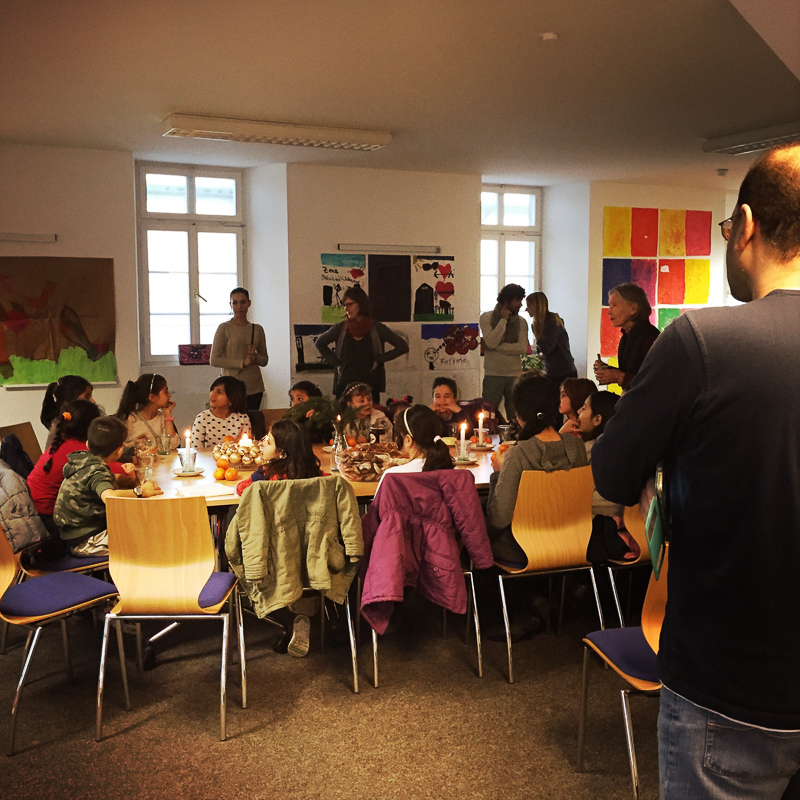 Finally, everybody sang songs from their home countries. 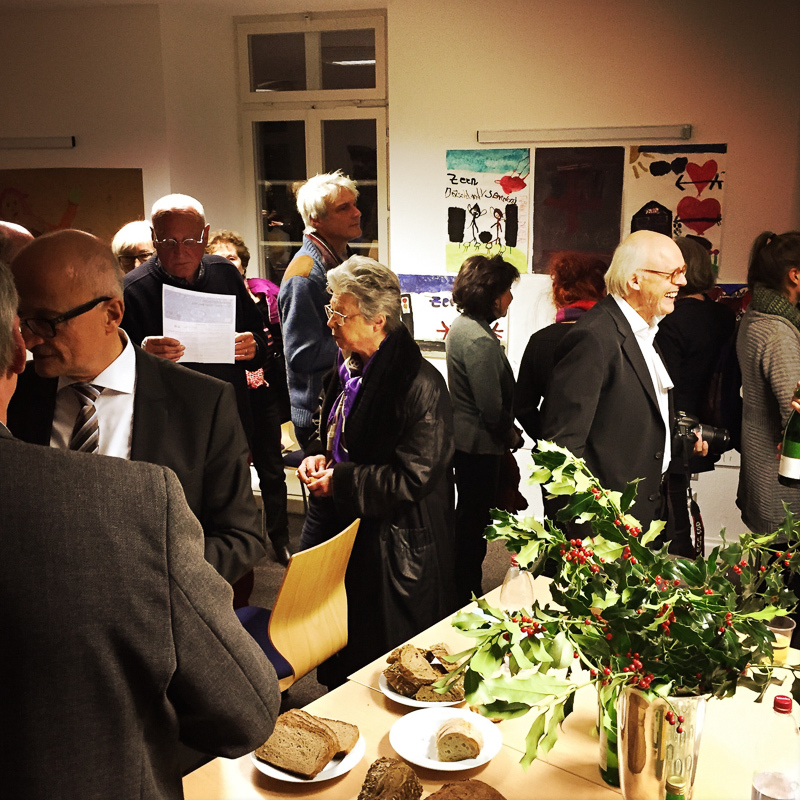 The association thanks everybody involved for this cheerful day. 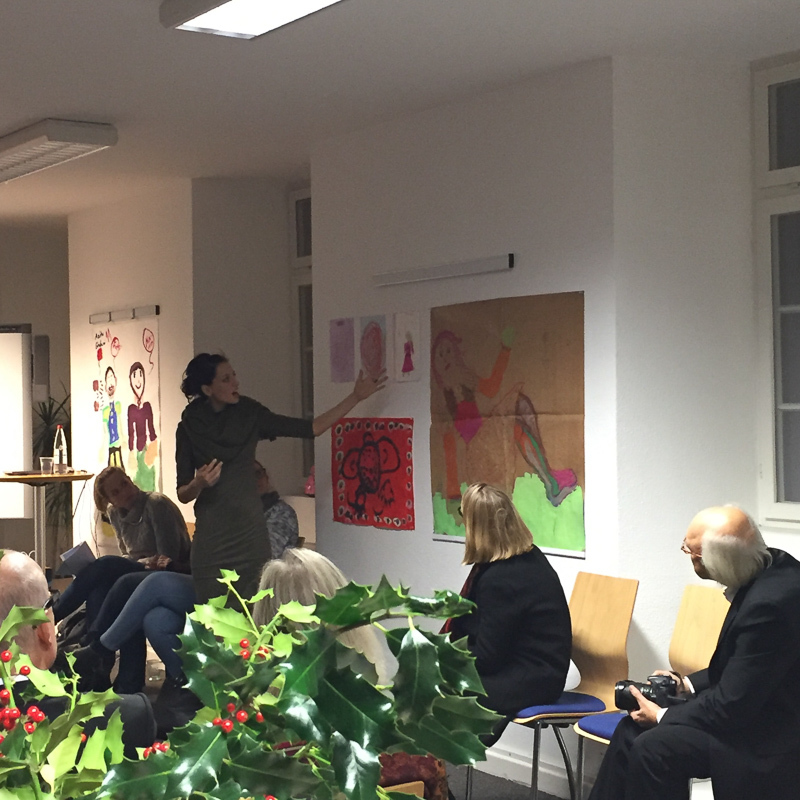 In cooperation with “Caritas“, “Engagement Global“ and “Welthaus“, the association organized an exhibition to showcase the results of the art workshop. 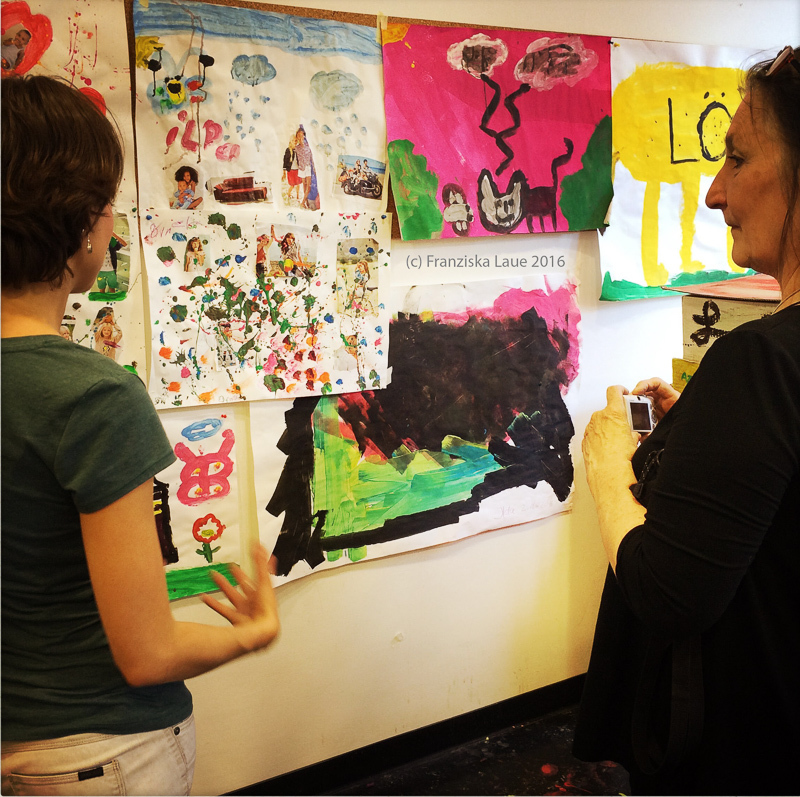 The exhibition was conceptualized by the volunteering art therapists and teachers. 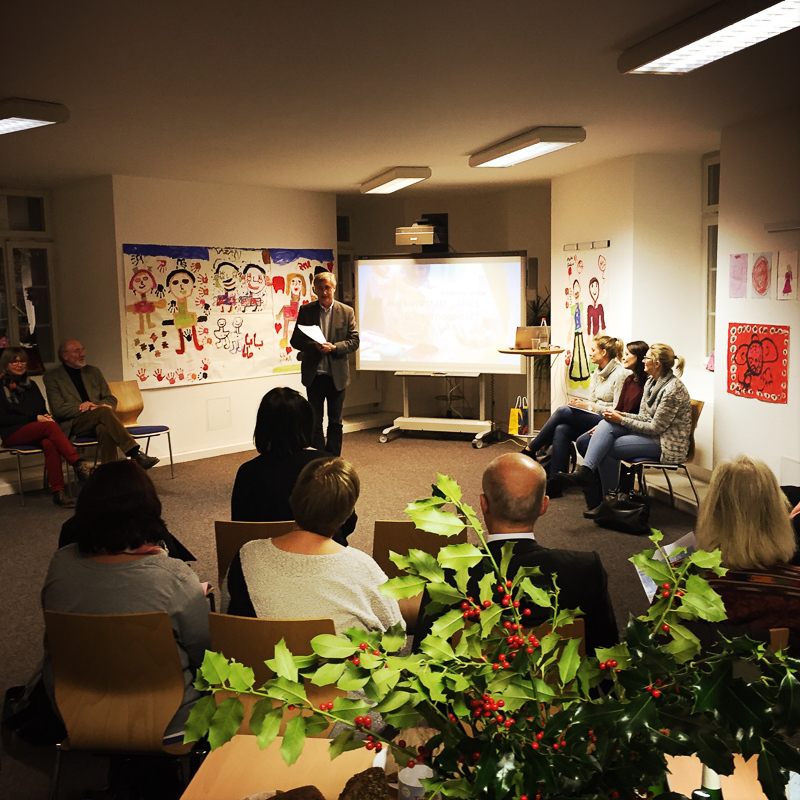 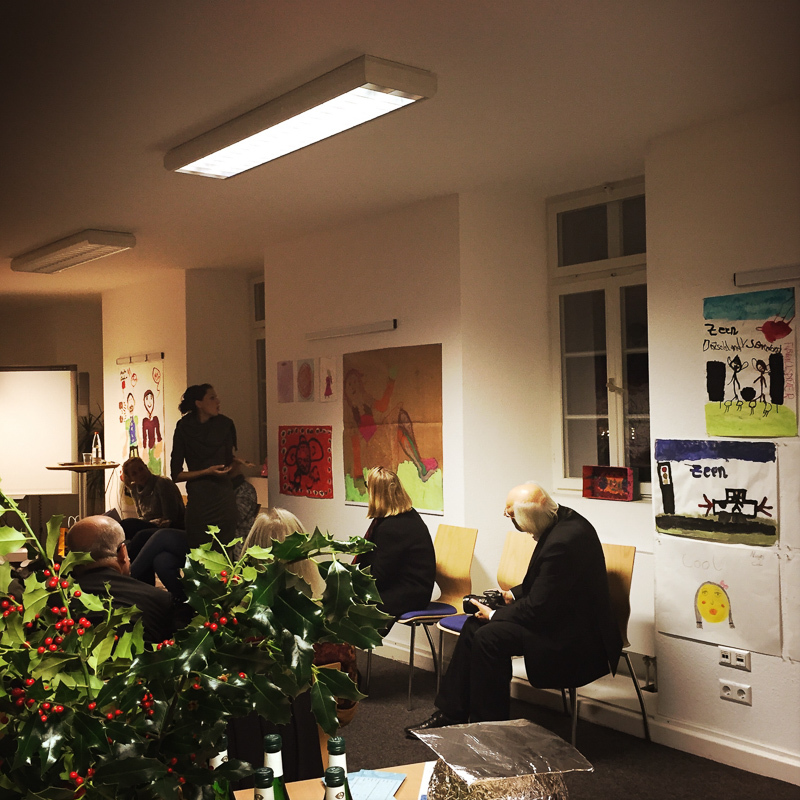 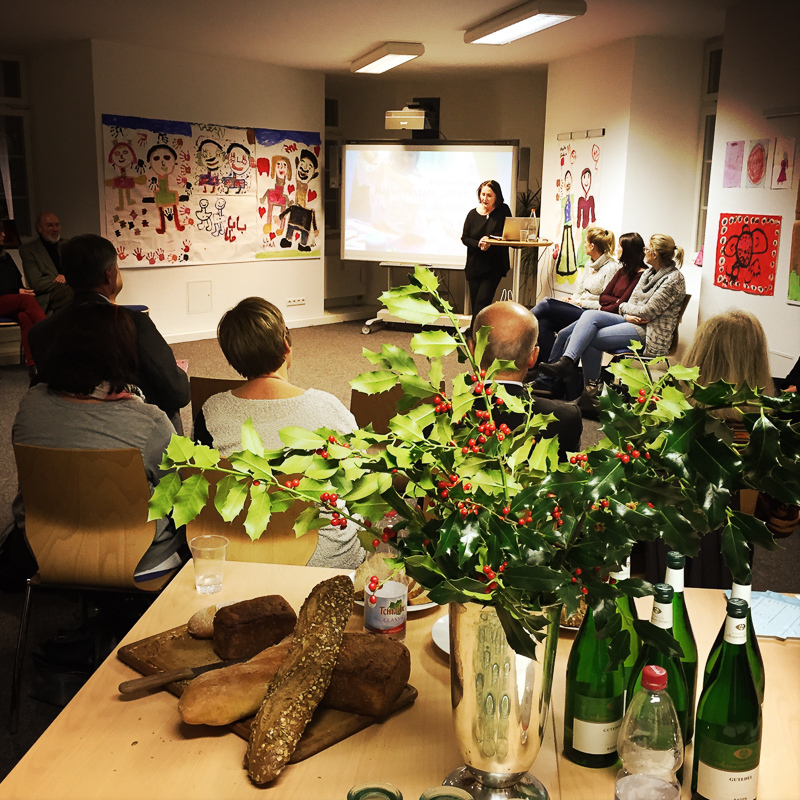 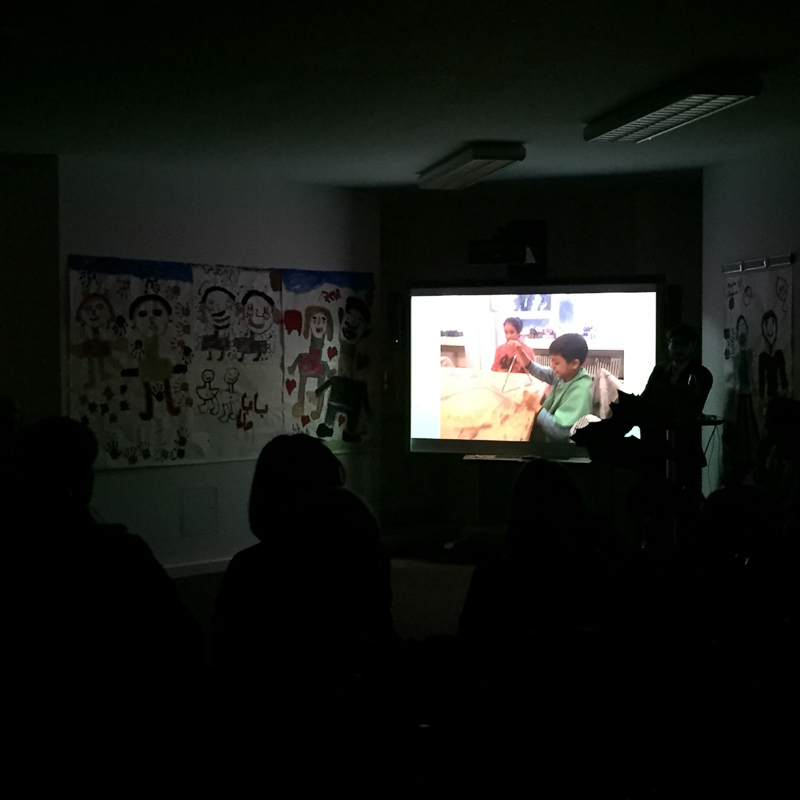 The opening of the exhibition, titled “Kids and Colours – Kinder und Farben“ was complemented with lectures by the association’s head of board and the teachers. 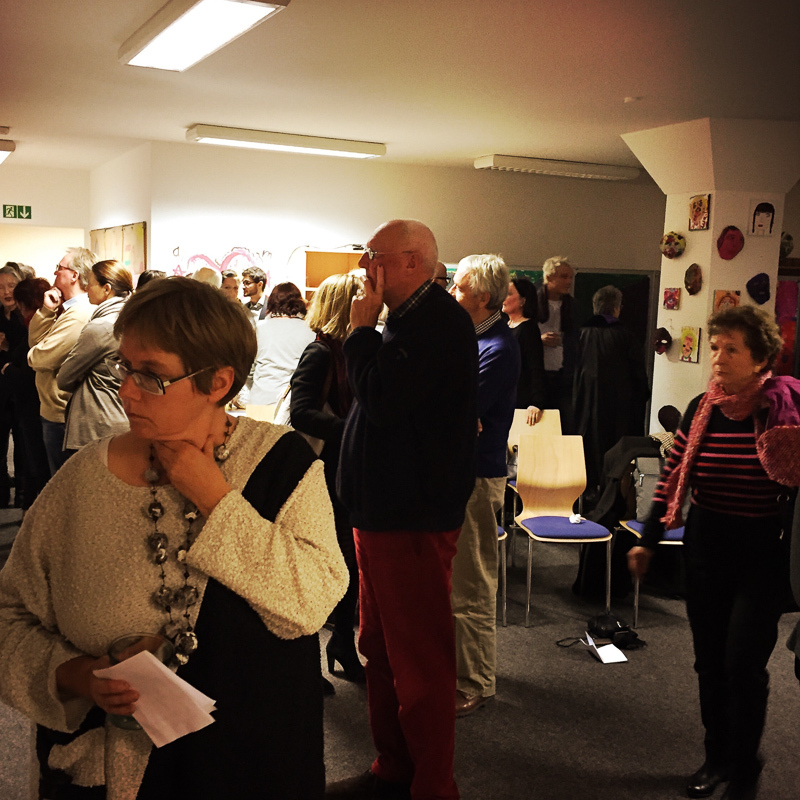 The opening was well received by the numerous interested visitors. 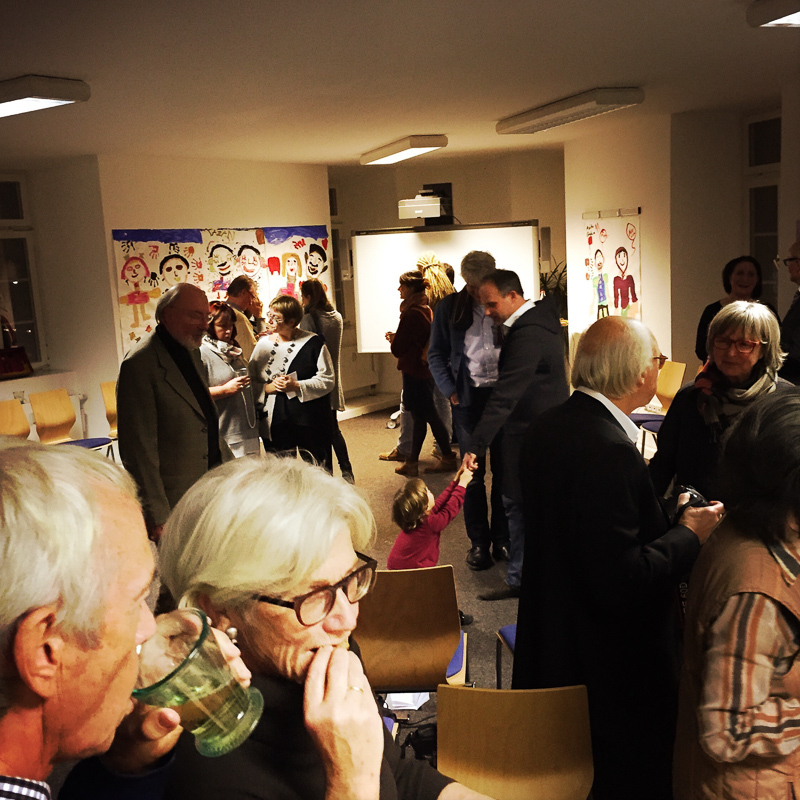 The association thanks everybody involved for this successful evening. 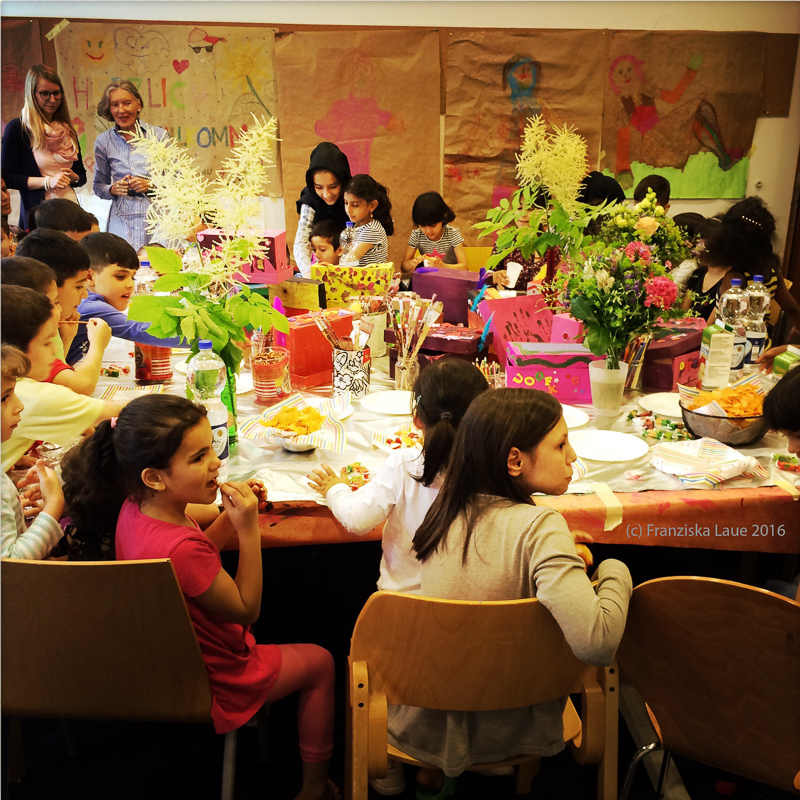 In June 2016, a party was organized to bring children, parents and volunteers together. 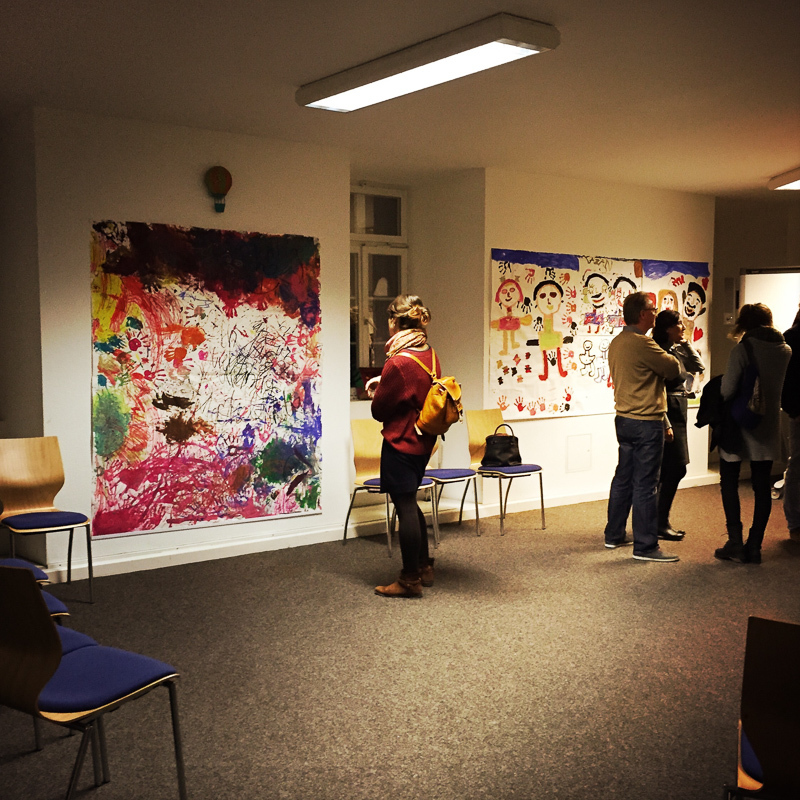 This was a welcomed occasion to showcase the children’s artwork and to spend some time together. 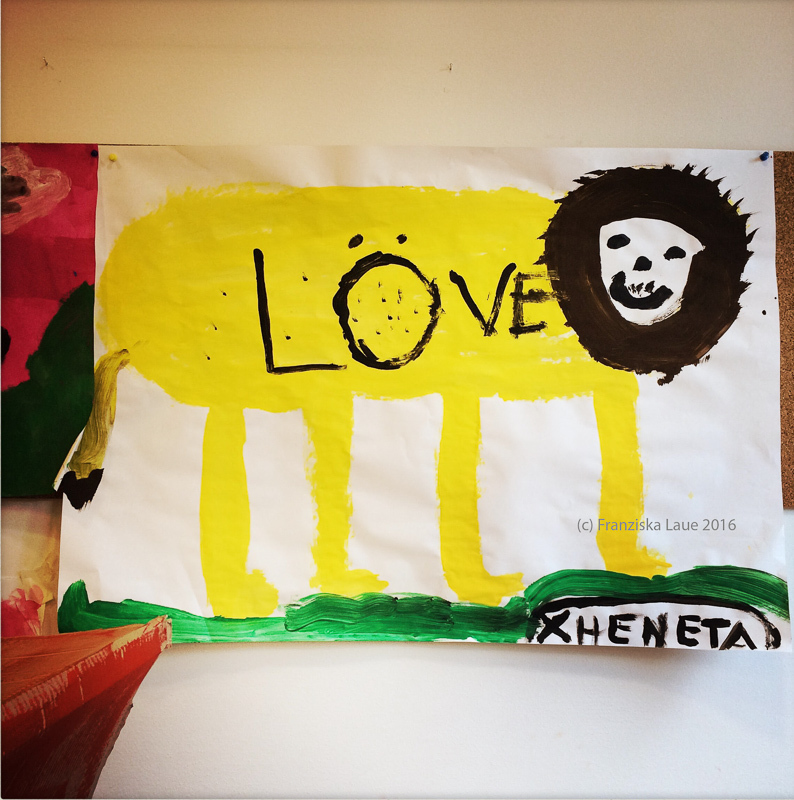 We are looking forward to our next phase of kids and colours art workshop.